Work isn’t work when it’s covering New York Fashion Week for Scene magazine. We’d grab this just for the cover. But the story is killer too. Do you dream of having the coolest job on Earth? YEAH! So does Susanna. And she’s making it happen. She wants to be a journalist on a celebrity mag. One step, two steps: she’s gonna unlock those doors. But chasing the A-list isn’t all flowers and chocolates. There are evil security guards and mean-girl models. Plus Susanna’s demon boss, who treats her like a personal slave. It’s lucky this tough cookie knows how to get a story no matter what! Ambitious, sassy, ready for anything: this girl is going places. 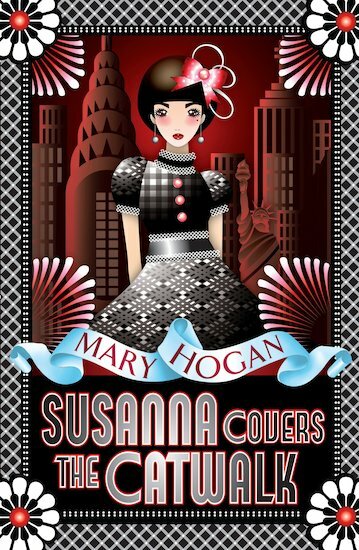 You’re going to love Susanna. Our favourite role model.